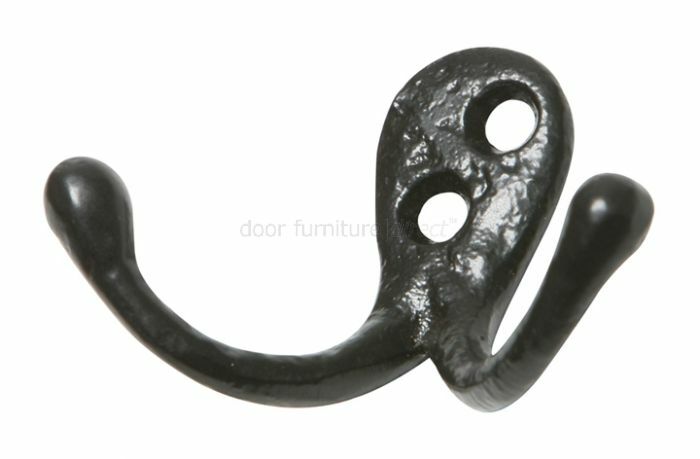 Black antique iron double wardrobe hook. Fixing plate measures approximately 25x40mm. Hook width measures 75mm. Supplied complete with fixing screws.